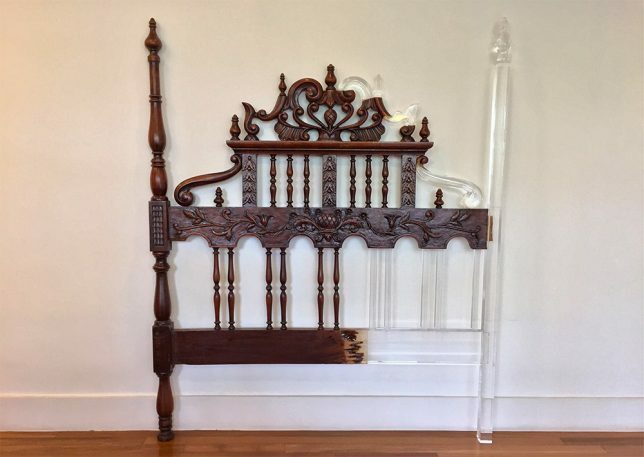 Wooden furniture remnants stand out clearly against their subtle replacement parts in this series of artistic chair and bed repairs. 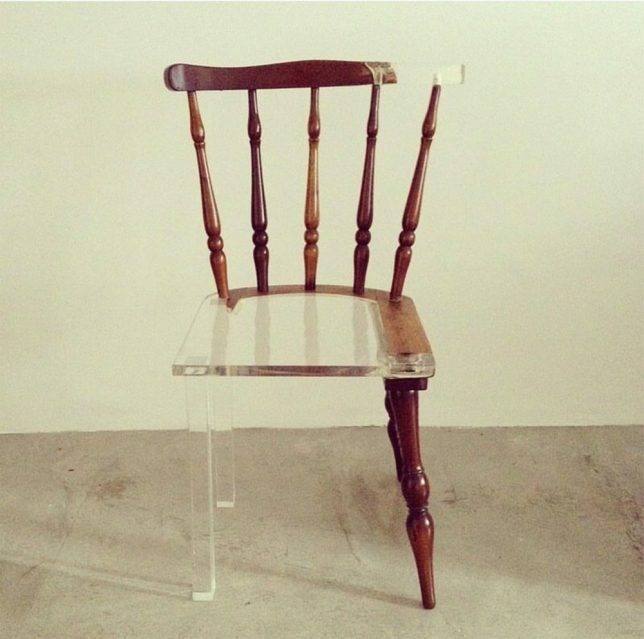 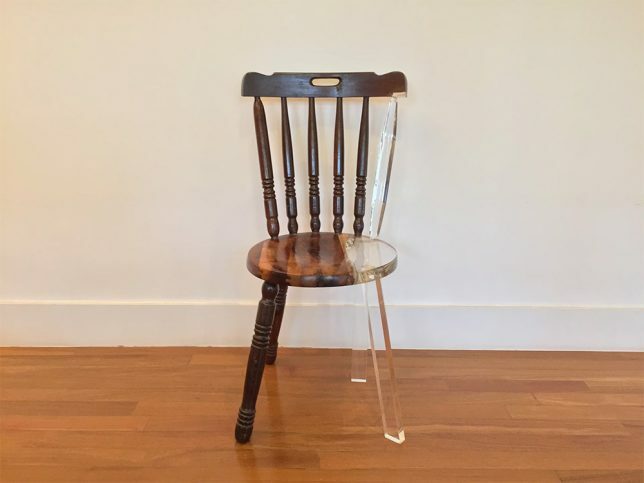 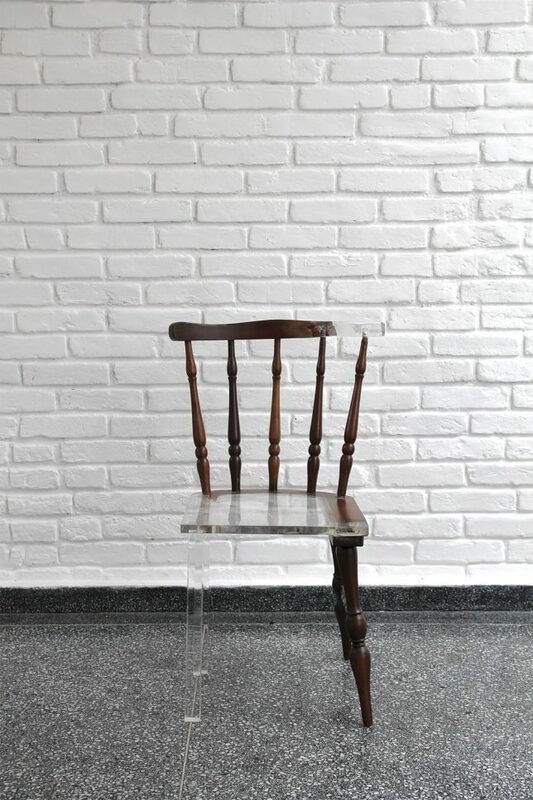 Translucent acrylic fills in the gaps of these pieces, parts of My New Old Chair and Dear Bed collections by artist Tatiane Freitas. 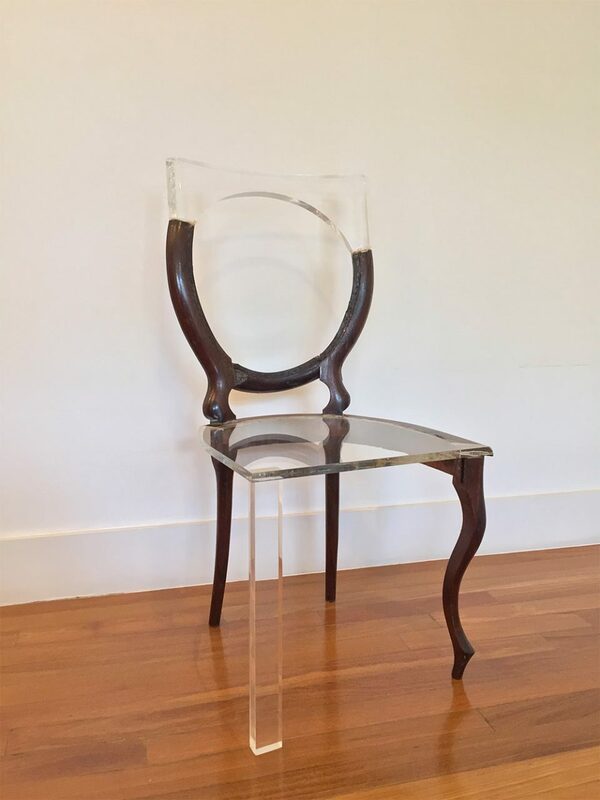 Mirroring the construction methods used for the two materials, the missing lathe-spun wooden parts are replaced by simplified acrylic geometries. 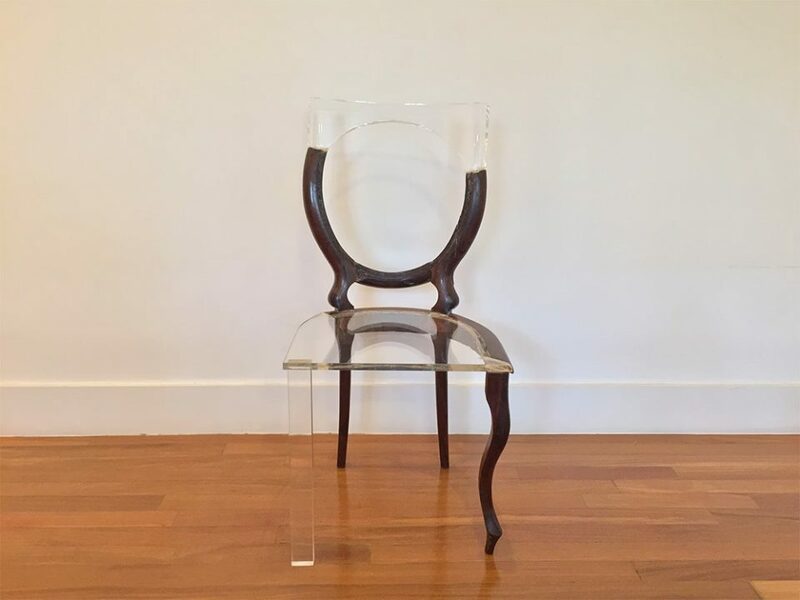 The approach follows a certain vein of old-versus-new expressionism also found in fields of design and architecture — added elements are clearly distinguished from existing ones in order to make the time period differences legible at a glance. 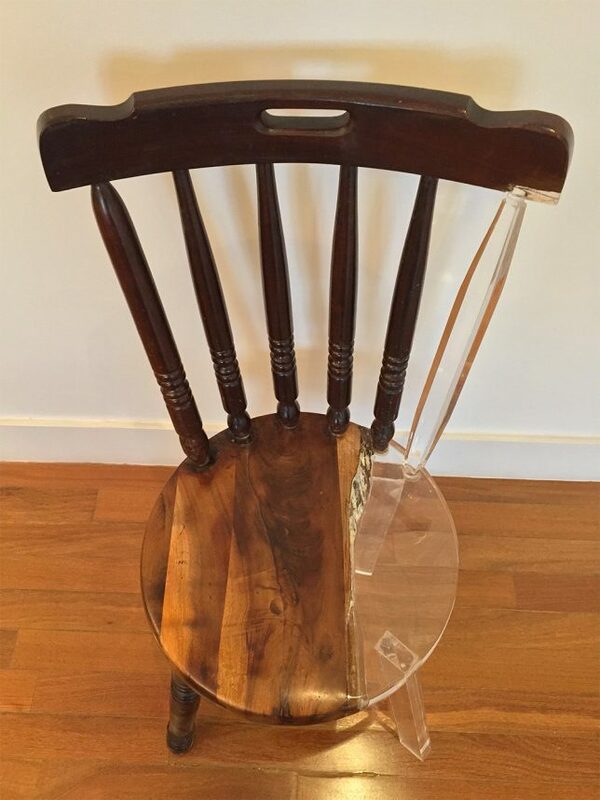 As with repair-oriented designers, there is a functional component here as well: the old chairs are able to be useful again thanks to these careful interventions.